I made these Turkey and Potato Puffs over the weekend to take as a snack on while we watched a movie in the park which I will recap later in the week. 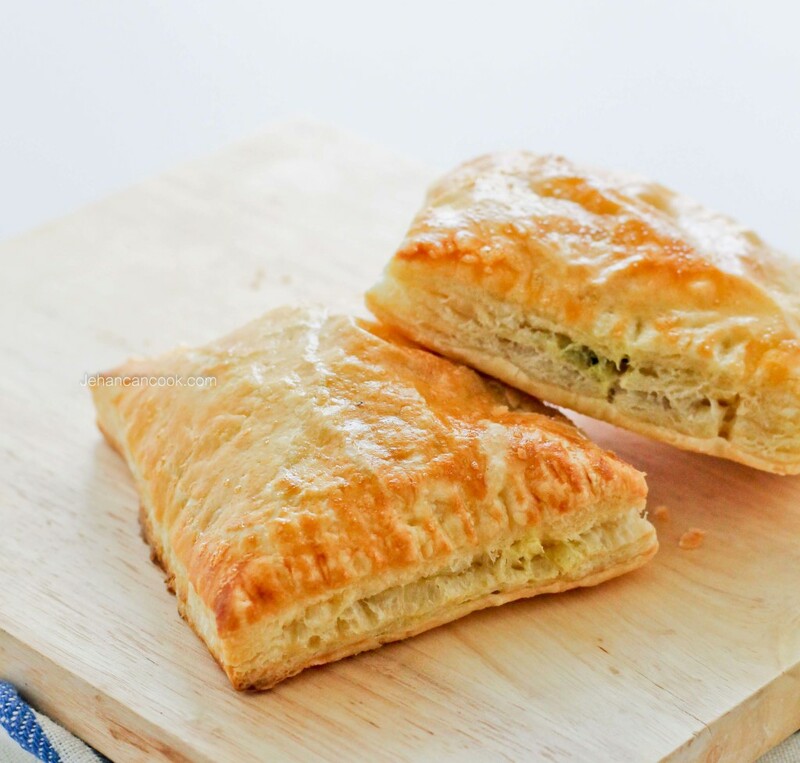 This recipe is inspired by the samosa which deep fried or baked pastry with a savory filling like potato, peas or meat. I used puff pastry as the crust because I wanted a light and airy crust and the best part is I didn’t have to make it from scratch! 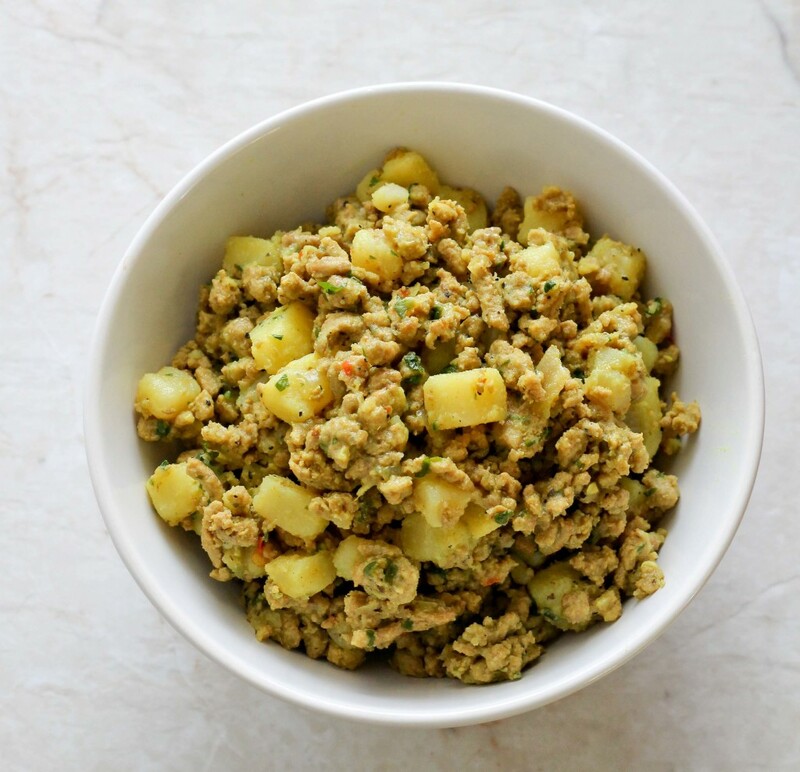 For the filling I seasoned ground turkey and potato cubes with ginger, turmeric, geera(cumin) and coriander to create a well flavored filling. Even though I used quite a bit of spices, the flavors were balanced nicely and complemented the flaky puff pastry nicely. To make the filling in a sautee pan, add oil over medium heat. When oil is hot, add ground turkey cook until turkey browns. Make sure to break the turkey apart so it resembles small crumbs. Next add onion and garlic and continue to cook until onion softens, about 3 minutes. Add potato cubes, black pepper, red pepper flakes, turmeric, geera, coriander and ginger and stir. Cook for another 3 minutes then add about 1 cup water. Bring to a boil then reduce the heat to medium low and cover the pot. Cook until potato is soft but still holds its shape and all the liquid is gone. If the potato is still not soft but the liquid has evaporated, add more, a little at a time and cook until potato is soft. Remove from heat and cool completely before moving on to the next step. I let it cool for 1 hour. 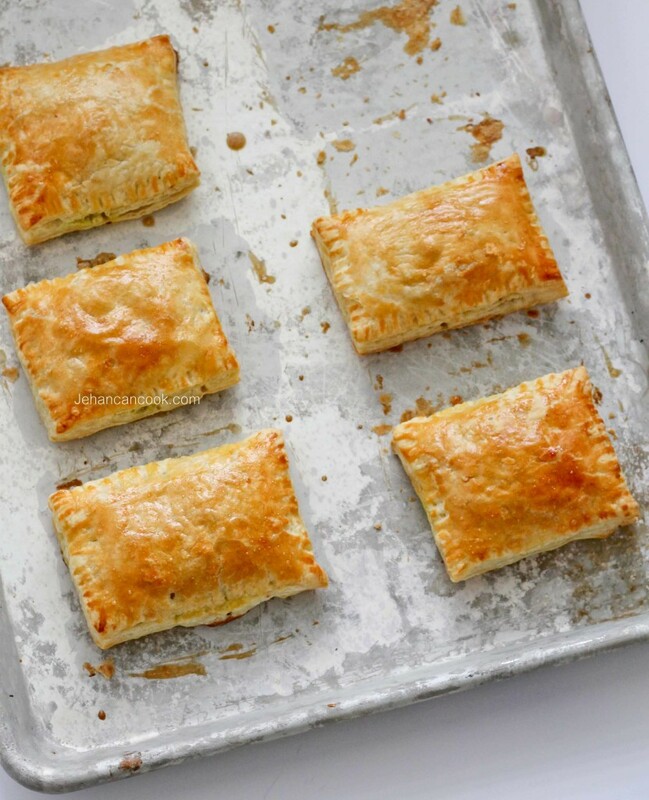 To make the Puff, defrost the puff pastry according to directions on the box. On a lightly floured surface roll 1 sheet of puff pastry into a larger rectangle, don’t roll too thin. Next cut into 3 equal pieces by cutting from one end to the other lengthwise then cut cross way 3 times to form 9 pieces. Work with one sheet at a time; place the other 3 sheet in the fridge until you are ready to use it. Next add a spoonful of the turkey and potato filling in the center of one of the puff pastry square leaving a ½ inch border. Mix egg yolk with 3 teaspoons of water. Brush the egg yolk on the border then place another puff pastry square on top of the filling. Use a fork to press around the edges to seal. Repeat this process; this makes 18 Puffs. Place the puffs on a baking sheet and brush the tops with the egg wash. Place into a preheated oven and bake for 20 minutes or until golden brown. Remove from oven, then place the puffs on a rack to cool before eating.